In the autumn issue of Nineteenth Century Review in 1877, W. E. Gladstone wrote an article on legacy of the British Empire and the Eastern Question entitled, “Aggression on Egypt and Freedom in the East.” In addition to supporting notions of self-rule in Egypt, Gladstone warned of the perils of imperial interventions, arguing, “My belief is that the day which witnesses our occupation of Egypt will bid a long farewell to all cordiality of political relations between France and England. There might be no immediate quarrel, no exterior manifestation, but a silent, rankling grudge” (p. 19). These words proved so prophetic that political radical Wilfred Scawen Blunt employed Gladstone’s rhetoric against him in his work The Secret History of the English Occupation of Egypt (1907), writing that “this article is so remarkable and so wonderfully prescient of evils he was himself destined to inflict upon Egypt that it deserves quoting” (p. 57). 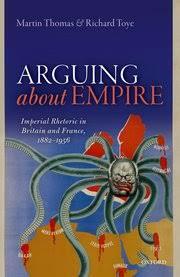 This exchange serves to illustrate the fluid nature of imperial rhetoric and the discursive relationship which formed between the British and French Empires. 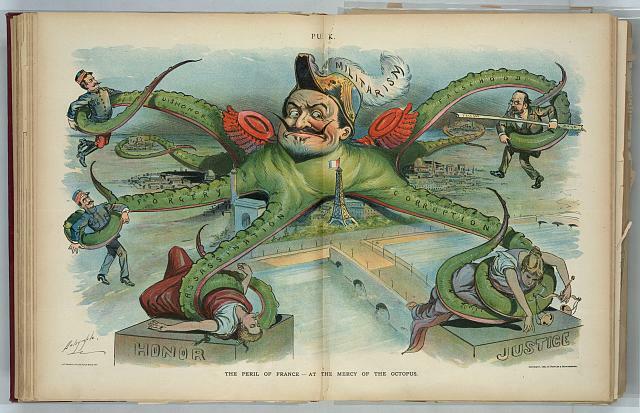 France and Britain – colonial rivals, or co-imperialists? ‘The struggle of races and of peoples has from now on the whole globe as its theatre; each advances towards the conquest of unoccupied territories.’ Tempting as it might be to ascribe such inflated rhetoric to Friedrich Nietzsche or Adolf Hitler, its originator was Gabriel Charmes, a disciple of leading late nineteenth-century French republican, Léon Gambetta. In September 1882, Charmes was trying to persuade his fellow parliamentarians that France’s recent seizure of Tunisia was ethically imperative. Similar rhetoric could be found across the political spectrum, in Britain as well as in France. In 1888, the Conservative Prime Minister Lord Salisbury described small imperial wars as ‘merely the surf that marks the edge of the advancing wave of civilisation’. But if Britain and France both claimed to be the spearhead of civilizing influences, what happened when their interests clashed, and what new arguments emerged to rationalize the struggle for power between rival ‘civilized’ nations?